We, Fame Storage Pvt Ltd, are a name that is trusted worldwide. Today, our offerings are accepted as reliable and most useful, by clients we deal with. 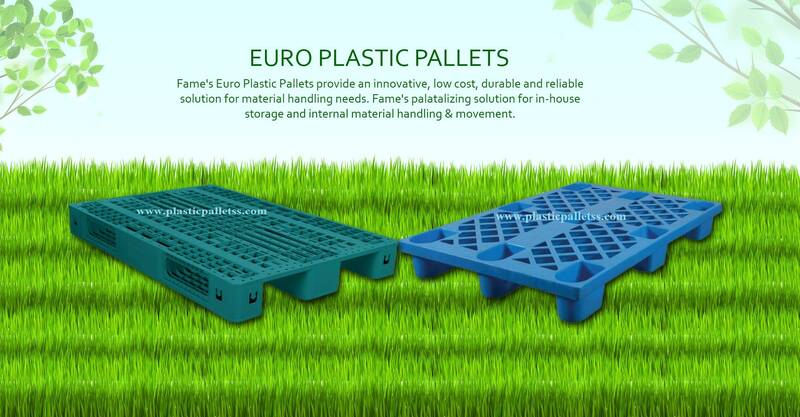 Our offered variety of Crates, Plastic Pallets, Racking Pallets, Storage Pallets, Pallet Boxes, Plastic Collapsible Boxes, Small Storage Bins, etc. are also loved for their high quality in the market. We as a manufacturer and exporter of these are focused towards offering only the quality offerings that matches with the global standards. To ensure such consistent delivery of perfections, we follow a two stage quality management system. First stage is IPQC (In Process Quality Control), under this, we conduct numerous essential tests on our range during the manufacturing process. Further, the second stage is OQC (Outgoing Quality Control), this is done before the dispatch of units. Under this, we test samples from each of our finished batches to ensure that none has any sort of defects. By following such an impressive and fool proof quality management system, we deliver top products to our clients.